This is a contractor's delight!! No nuts & bolts. Minimum usage of steel. 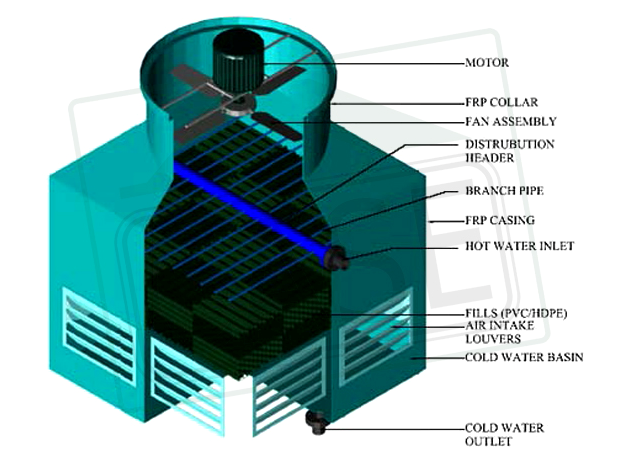 The SQ series cooling tower is designed keeping in mind the small applications of the Cooling Tower. These Cooling Towers can dispatch in totally erected form from our works resulting in no botheration of erection at site. These Cooling Towers are square shaped and have capability to be used in multiple cells. This is another first of its kind from the house of CASE for the Indian industry! 1. Square Shaped Counter Flow, Induced Draught design. 5. All supporting structure along with fasteners within the cooling tower is of stainless steel.